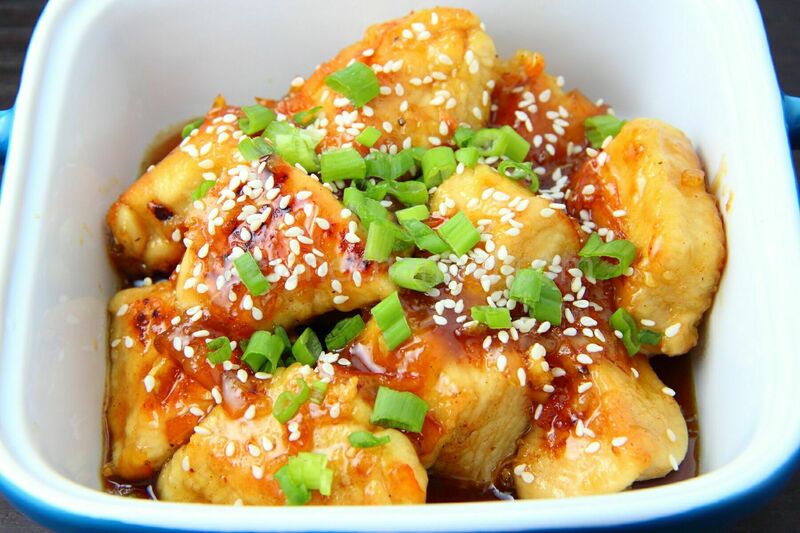 A Chinese takeout dish that can be made at home in less than 30 minute. 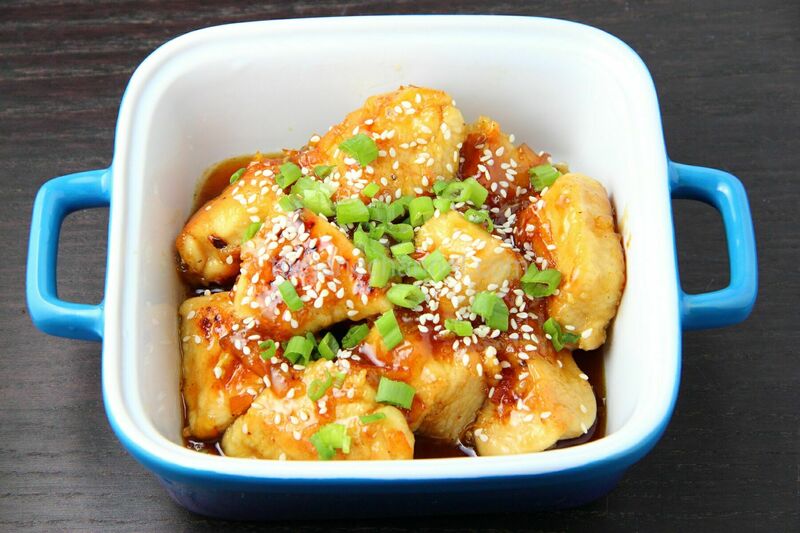 This sweet and citrusy marinade is made with soy sauce, honey, orange juice and orange marmalade with the spice of ginger. The sauce clings on to the chicken pieces and adds a glaze with wonderful colors to the dish. Season chicken with salt and pepper. Lightly coat the chicken with flour. Heat oil in skillet over high heat. 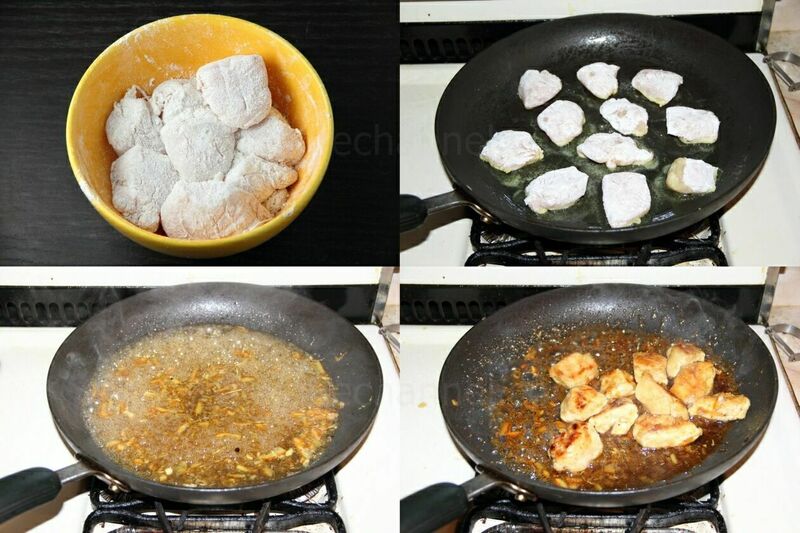 Stir in chicken pieces and cook for about 3-4 minutes on each side or until the meat turn brown on the outside. Remove from skillet. In the same skillet, add orange juice, marmalade, soy sauce, ginger and honey. Bring to a boil and cook until the sauce thickened. Stir in chicken and and heat through. Sprinkle sesame seeds and green onion, for garnish. Love the recipe! Can’t wait to try it! I made this receipe for the women I work with and wow what a hit. Thanks for the great idea! !